Walking is one of the best ways to jump-start your weight loss journey: It's low-impact and literally as simple as putting one foot in front of the other. If you walk at a 4-mph pace, you can consistently complete 15-minute miles. According to Harvard Health Publications, if you weigh 125 lbs., you can burn about 68 calories by walking a 15-minute mile. If you weigh 155 lbs., you'll burn about 84 calories, and if you weigh 185 lbs., you'll burn about 100 calories. The harder you work, the more calories you burn. You can increase your intensity without increasing your pace by pumping your arms, lifting your knees high with every step, wearing a weight vest or walking uphill. Taking regular 4-mph walks can help you lose weight and keep it off. 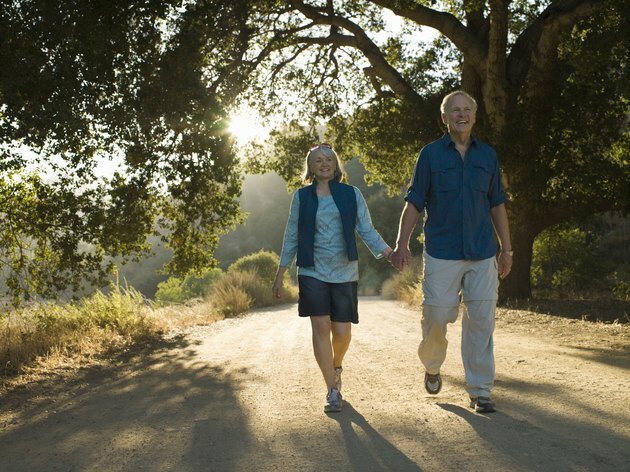 But walking also offers other benefits, including lower blood pressure, stronger bones and more endurance.